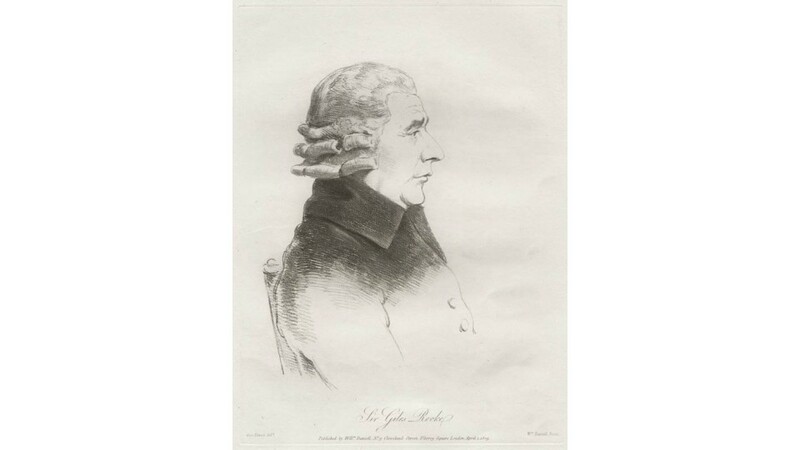 Sir Giles Rooke (1743_1808) was an English judge and Justice of the Court of Common Pleas. 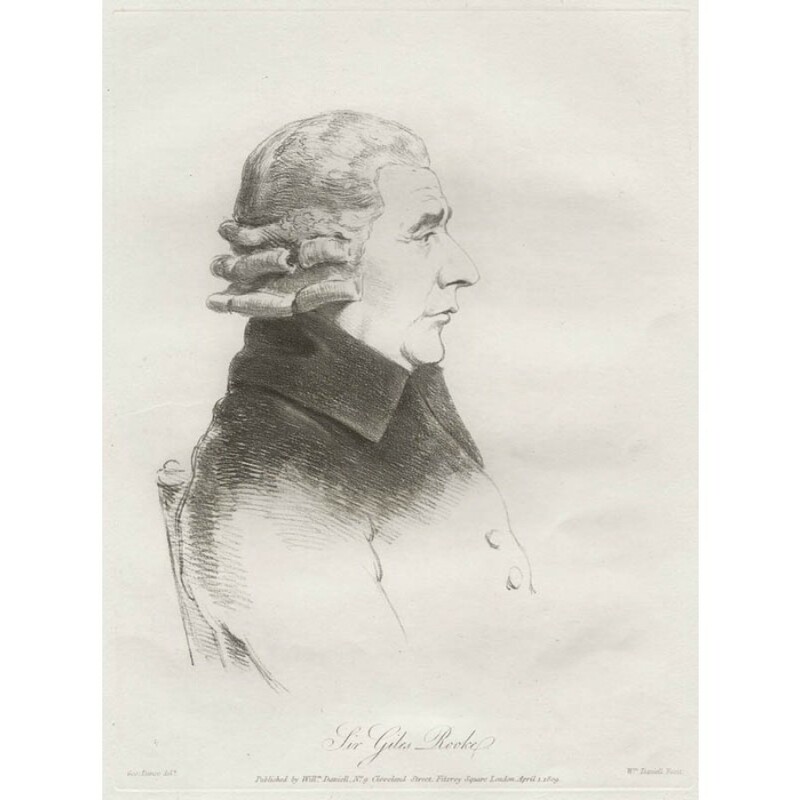 Dance was an architect, draughtsman and founder member of the Royal Academy. This portrait comes from a series of chalk portraits that he did of his friends, 72 of which were engraved and published (1808-1814) by Daniell who was an engraver as well as a reknown landscape painter. Accompanied by original descriptive text.